Specializing in Unique Homes and Vacant Lots with A Million Dollar View! List Your Home With Me ! My name is Frederic Delarue, Broker Associate with HomeSmart Professionals, located in the Coachella Valley, in/around Palm Springs, California. Why would you want to list your home with me ? It is very simple. My approach is to be very honest, upfront, a great listener, accompanied with an intuitive touch. I live my life daily from the heart to keep things real. 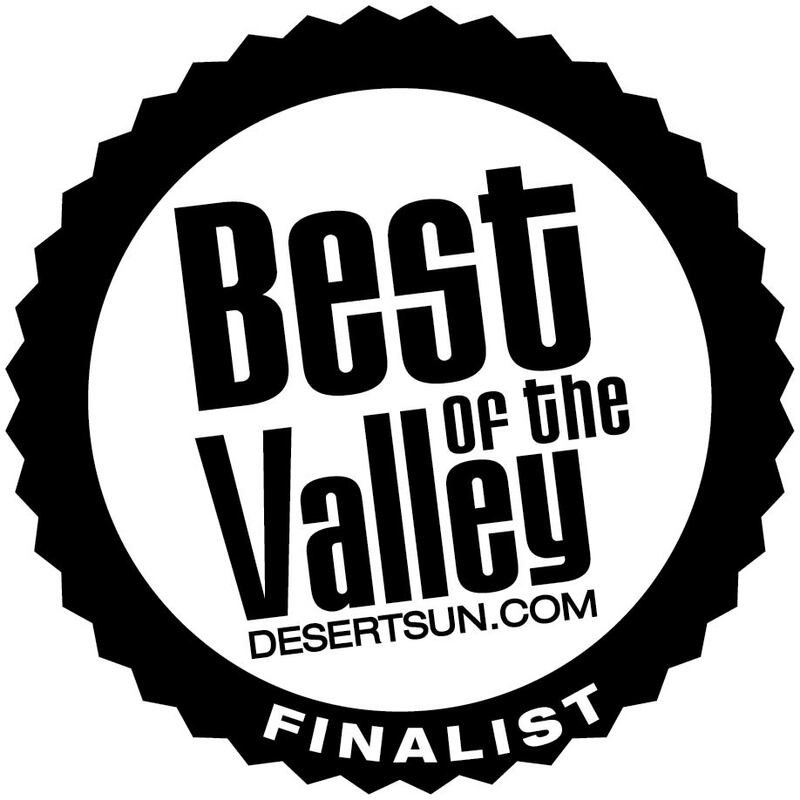 These qualities got me an award of being voted Best of the Valley in 2014 by consumers and clients in the Coachella Valley (http://milliondollarviewhome.com/bio.html). What will I do for you ? I will discuss with you to make sure your wishes and desires are fully heard, understood, and that everything, every move that will be taken will be done for your highest and best interest without demeaning the other party (the buyers in the event you are the Sellers). I do not believe in taking advantage of people. This is at long-term never such a good idea. Besides having your property on the Multiple Listing Service all over Southern California (MLS), and added to hundreds of syndicated online websites, such as but not limited to Realtor.com, Trulia.com, Zillow.com, Redfin.com, etc, I will create a personalized marketing plan just for your property. This means a series of professionally designed postcards, flyers, photos, unbranded video for the MLS and a branded video for YouTube. I will work with you to schedule ‘Open Houses’ in the event you are living in the home you wish to sell, and showings. With me, you are never held on listing agreement. Even though we will sign one with an ending date, you can cancel anytime if you feel you made a mistake by hiring me. I will never force you to continue to list with me. That’s a peaceful guarantee I make. So do not hesitate to give me a call at (760) 567.9463 or send me an email at:MillionDollarViewHome@hotmail.com. In the meantime, I thank you very much for your time for reading this post and wishing you a very blessed day. 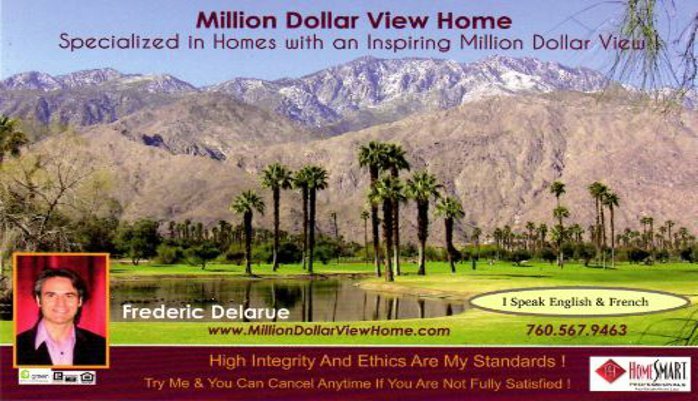 This entry was posted in listings, real estate, sellers and tagged desert hot springs, frederic delarue, green homes, indian wells, la quinta, list your home, listings, palm springs, Rancho Mirage, real estate, realtor, sell your house, sellers, selling, sky valley on May 19, 2015 by Frederic Delarue.